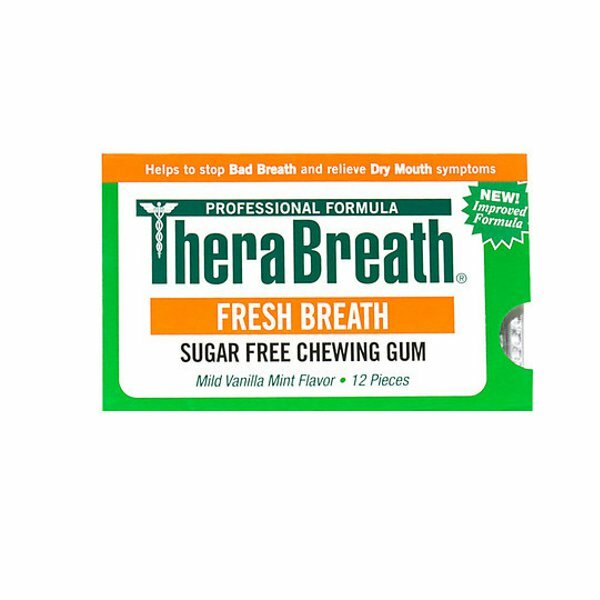 Gum health and stopping your gums from bleeding is essential for a healthy oral environment and keeping your breath fresh. 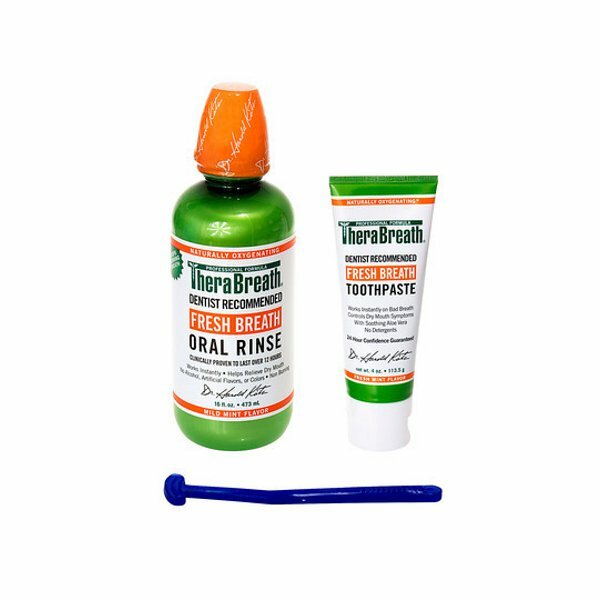 Bleeding Gums, Gum Disease and mouth ulcers result in blood and other proteins that the Anerobic Bacteria responsible for bad breath feed on, allowing them to give off the sulphur compound we experience as bad breath. 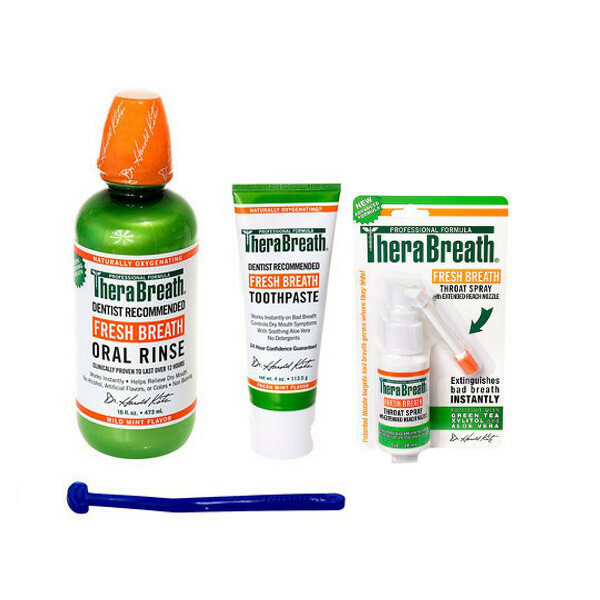 Therabreath’s periotherapy treatment is a specially formulated oral care system that cares for your gums, returning them to good health, stopping bleeding and treating bad breath at the same time. Clean your tongue with the tongue cleaner, reaching as far back as possible without gagging. Now place a small amount of Periotherapy tooth paste onto the tongue cleaner and gently coat your tongue as far back as possible. 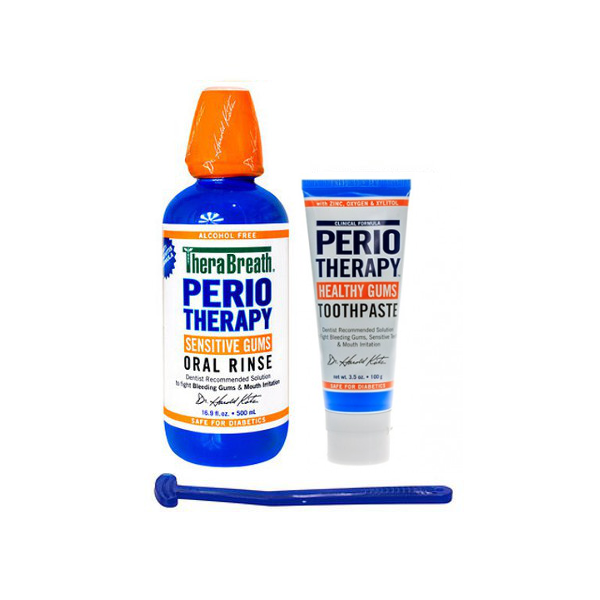 Place a small bead of periotherapy tooth paste onto your brush and brush using a soft tooth brush for at least 90 seconds brushing the roof of your mouth and inside of your cheeks as well. Spit the excess tooth paste out and do not rinse with water. 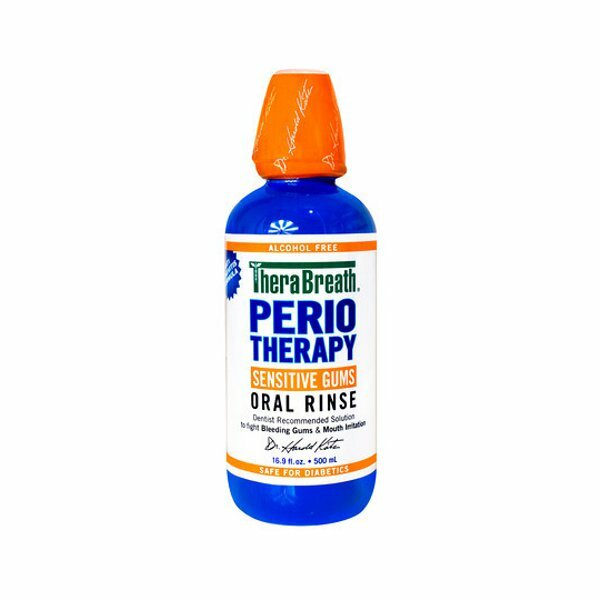 Rinse using one capful of the Periotherapy Rinse for at least 90 seconds.